We all know that caravanning is far more comfortable than simply camping in a tent. However, we are somewhat limited in the destinations that a caravan can reach. 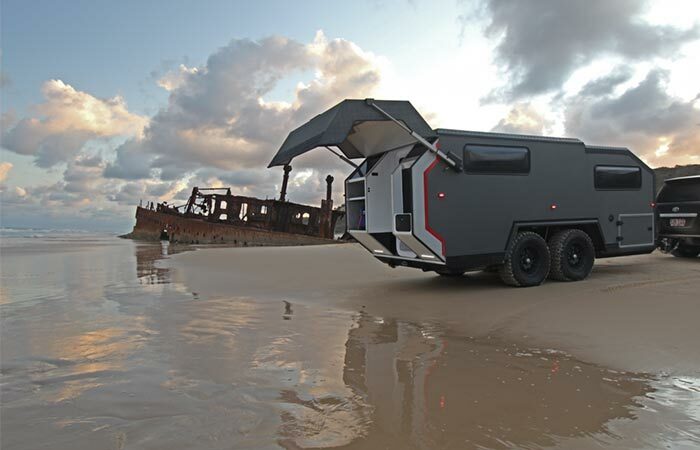 If you like reaching some of the most inhospitable spots in the world, without compromising on luxury, the Bruder EXP 6 is exactly what you need! Designed to be rugged, and yet refined on the inside, the EXP 6 will take you where no other camping trailer dares to go. The EXP 6’s rear opens up to expose a door with adjustable suspension. 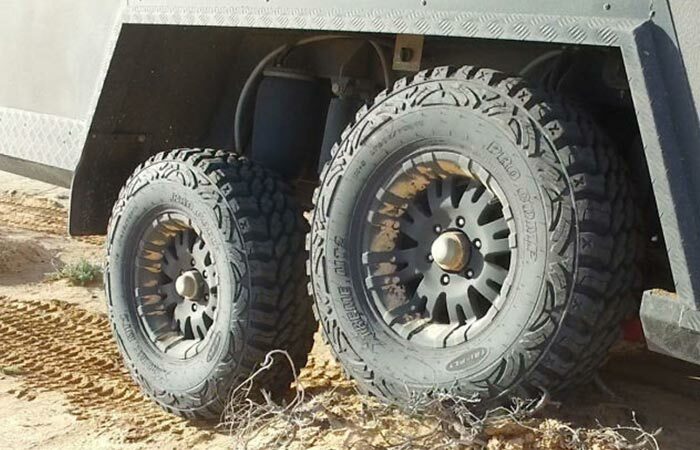 The Bruder features a unique dual axle design that can handle 11 times its own weight. This gives it a super tough base to roll on. The EXP 6 is also constructed out of 1.2-inch thick composite that measures 22 feet in length and 6.6 feet wide. The body and chassis was also designed to follow the tow vehicles tracks, which makes it easier to control. However, because of the composite material that is used, the EXP 6 only weighs in at 3527 lbs. Check out the awesome video below. The unique multi-link air suspension system allows for 12 inches of ride travel, and can be adjusted while in motion with a smartphone app, depending on terrain. 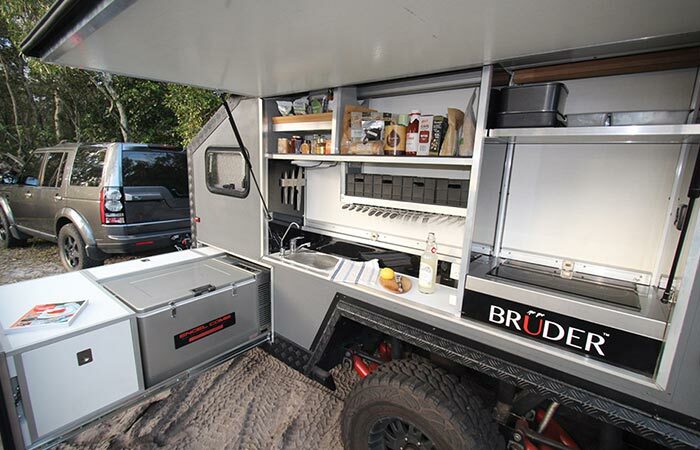 Another interesting feature of the Bruder is the fact that it has a multi-link air suspension system that allows for 12 inches of travel. The trailer’s ride height can also be adjusted while in motion by simply using a smartphone app to give you less or more ride as you need it. This also means that you can lower it when stationary so that the kitchen is always the right height. The EXP 6 does not skip on luxury. It also comes with a fully equipped kitchen. To make it even more impressive, the EXP 6 has a completely air tight body, and even comes with a snorkel system, that purifies the air. Although, no snow, water, or dust, will ever get into it, no matter the trail. Of course, it does not skip on luxury and comes with a fully equipped kitchen, a queen bed at the front, convertible sofa bed in the middle, and can comfortably sleep four. However, modifications are available on request. It also comes with a toilet, shower, and wash basin. Check out some of our other campers here.